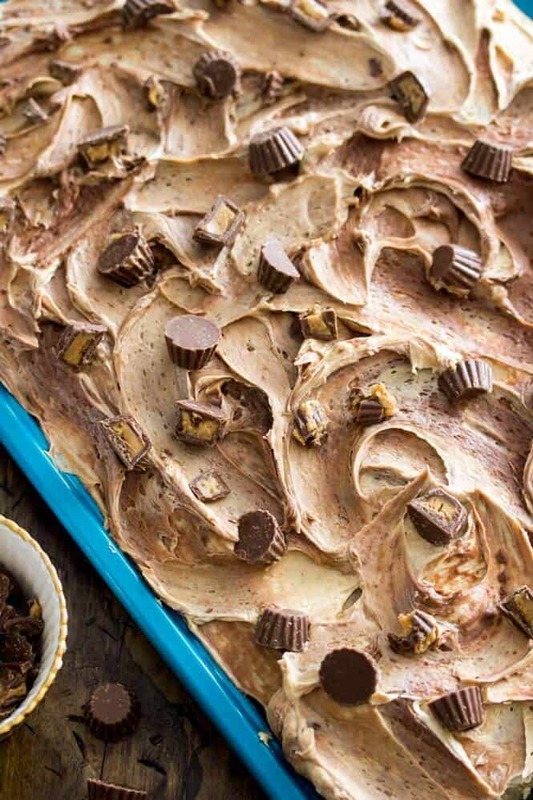 A peanut butter sheet cake with a peanut butter & chocolate swirled frosting, topped with mini peanut butter cups. 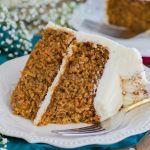 This cake is sweet without being too sweet, and peanut buttery without being overly so with just the right complement of chocolate. It’s been a while since I last shared a sheet cake. In fact, in the past year & a half plus since I’ve been posting regularly, I’ve only shared one sheet cake, and if you read that post you’ll see that it actually gave me nightmares. Not exactly a great track record. 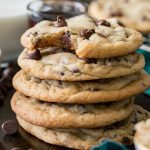 And, not only did I have a tough time getting the recipe right, I was completely embarrassed by the terrible pictures that I took, and so I’ve hardly shared or promoted the recipe at all. 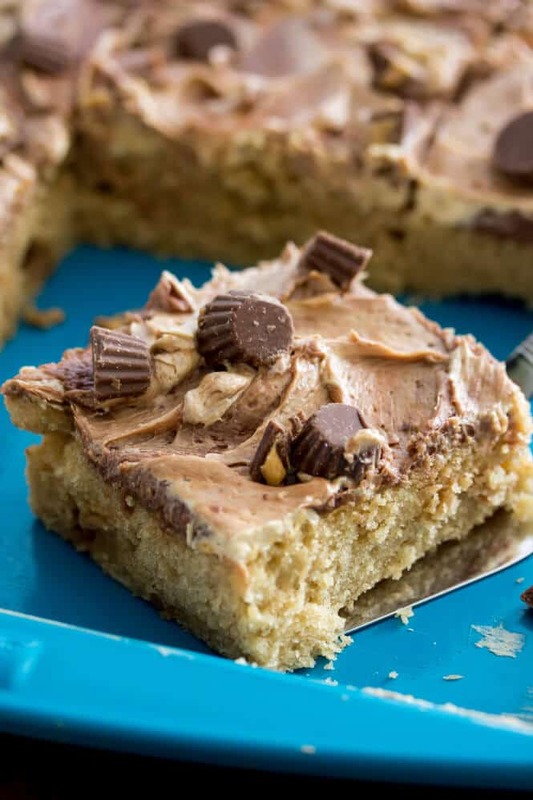 So, I had a lot of trepidation when I began developing the recipe for this peanut butter sheet cake. 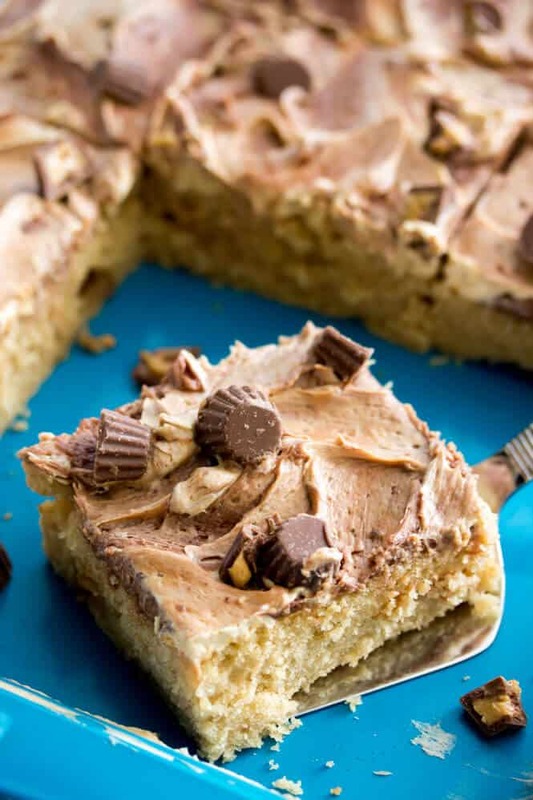 I ultimately ended up adapting this recipe for a classic peanut butter sheet cake from Taste of Home. I made just a few edits (adding more brown sugar seems to be one of my favorite alterations) and it came out beautifully, light, slightly springy, and (perhaps most importantly to me) not at all dry. While the cake wasn’t wholly mine, I feel like I did make a pretty significant contribution with the frosting. 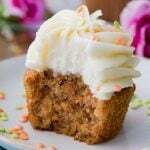 While this is a pretty simple recipe, it does require making two different flavors of frosting. I wanted to have both peanut butter and chocolate frosting, but I didn’t want to wash my KitchenAid bowl twice, so I made the peanut butter frosting first, dropped it by spoonfuls over the cake (see above), and then used the scraped-clean bowl to make the chocolate frosting right in the same bowl. The frostings are going to be swirled anyway so it’s not a problem if you get a little peanut butter in your chocolate, and it saves a dish! Because most buttercreams tend to seem a little too stiff and (believe it or not) too sugary for me, I made these frostings much lighter than your average buttercream. Since the cake layer is so thin in itself, I didn’t want the icing to be overpowering. 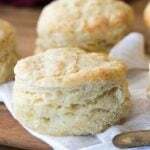 There’s only a cup of powdered sugar in each flavor (as opposed to double that or more in a typical buttercream) and it’s whipped with heavy cream for an even lighter texture. 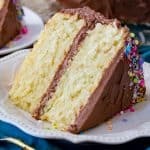 It balances the cake rather than overwhelming it, and complements it so you have a good distribution of chocolate peanut butter frosting and cake, rather than a sugary mouthful of frosting. 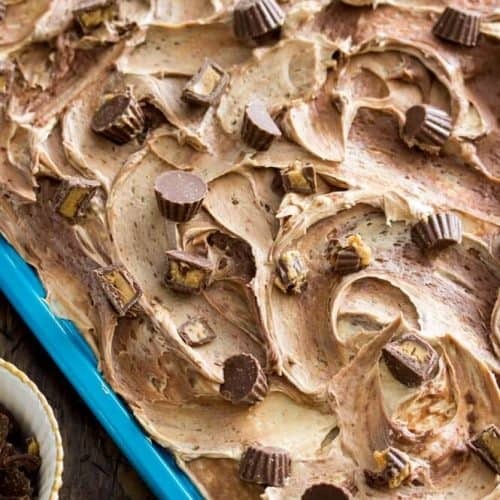 A peanut butter sheet cake with a peanut butter & chocolate swirled frosting, topped with mini peanut butter cups. 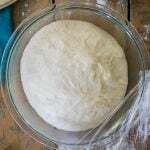 In a medium-sized bowl, whisk together flour, sugars, baking soda, and salt. Set aside. In a medium-sized saucepan over medium heat, combine butter, water, and oil. Stir occasionally until butter is completely melted and bring to a boil. 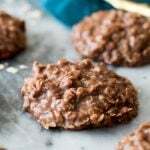 Immediately remove from heat and add peanut butter, stir until peanut butter is dissolved and mixture is smooth. Gradually stir flour mixture into liquid mixture until completely combined. Allow mixture to cool for 5-10 minutes. Meanwhile, whisk together buttermilk, eggs, and vanilla in a separate medium-sized bowl. Gradually stir buttermilk mixture into flour/peanut butter mixture, stirring until just combined. Pour evenly into prepared jelly roll pan and bake on 350F for 18-22 minutes. Remove from heat and allow to cool completely in pan. Meanwhile, prepare your frosting. Use an electric mixer to beat together butter and peanut butter until smooth. Gradually add powdered sugar until combined. Gradually, with mixer on low speed, add heavy cream. Increase speed to high and beat for one minute until well-combined (pause mid-way to scrape down the sides and bottom of the bowl). 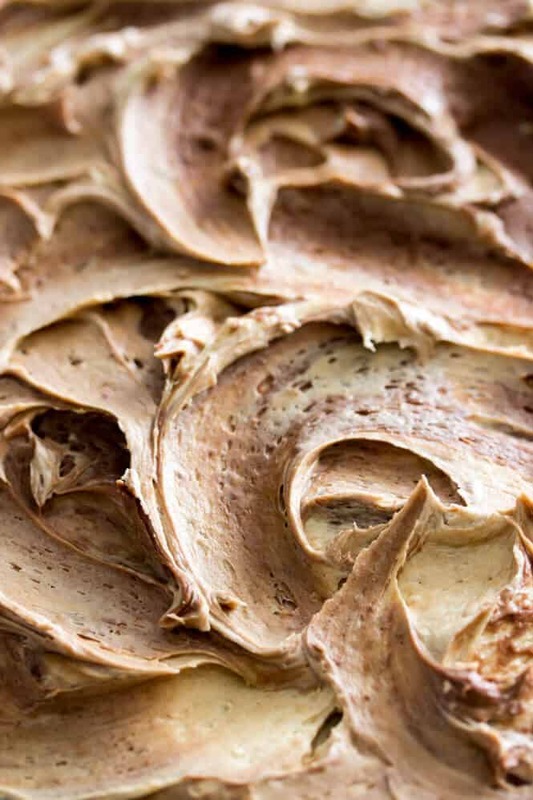 Scrape peanut butter frosting into a separate bowl, and then use the now-empty bowl to prepare your chocolate frosting. In a microwave-safe bowl, microwave chocolate chips at 15 second intervals, stirring between intervals, until chips are completely melted. Set aside and allow to cool slightly. In KitchenAid (or with electric hand mixer) cream butter. Add sugar gradually until well-combined (scrape down bottom and sides of bowl as needed). Stir the chocolate (it should be melted but should not be too hot) and add it to your butter/sugar mixture. Beat on medium-speed until well-combined. 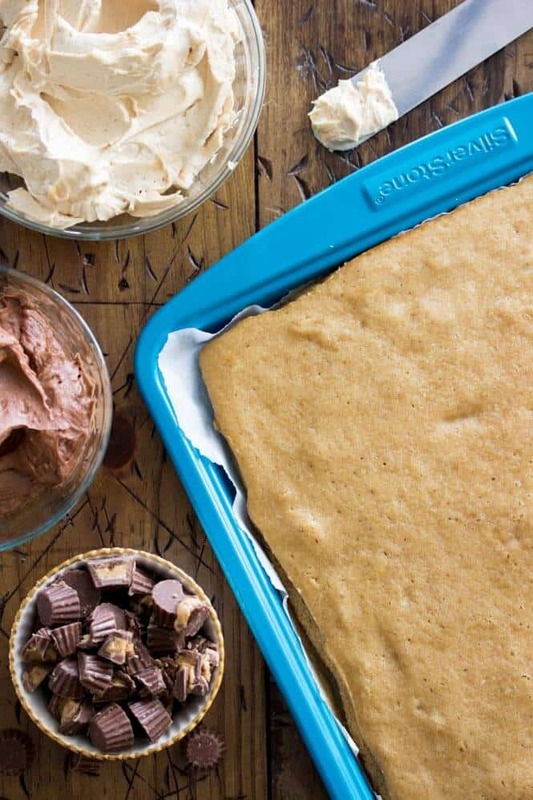 Drop frosting by spoonful, alternating chocolate and peanut butter, over sheet cake. 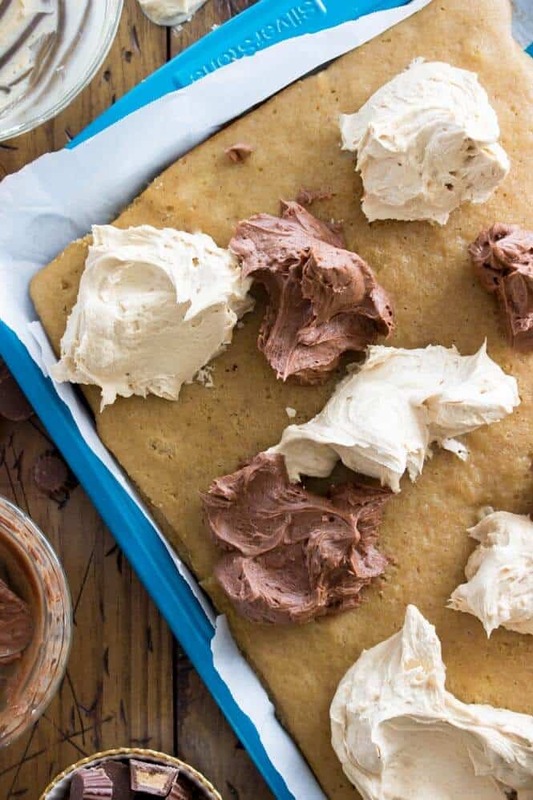 Use a spatula to spread and swirl frosting. 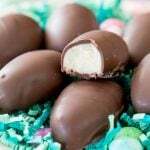 Sprinkle with halved mini Reese's cups. 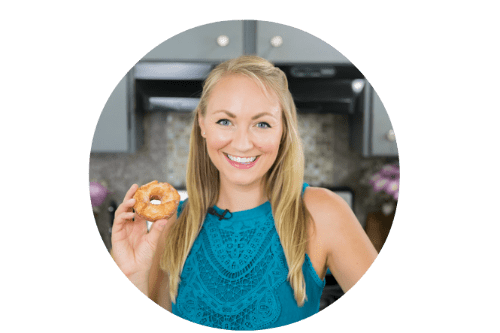 Next Post Kitchen Tips: Salted or Unsalted Butter? Hello Sam! I’m a new fan from the Philippines 🙂 Can i possibly bake this in a 9×13 pan? Thanks in advance for replying. Hi Ellen! I think that a 9×13 pan would work just fine. Bake it on the same temperature (350F/175C) but it will most likely need to bake for a little longer since it will be a thicker cake. Tried it last week, turned out amazing (http://imgur.com/a/AgH46), can highly recommend it! This looks soooo incredible. I could probably eat like half this cake right now- dangerous!! I definitely do not make sheer cake nearly enough! This is making my mouth water! I probably shouldn’t have decided to visit blogs while I’m fighting off a major sweet tooth. 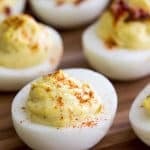 I love Taste of Home recipes- I’ve gotten a lot of great things from them! 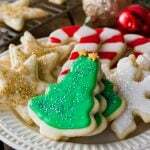 And that frosting looks perfect- so cool to see a little of each flavor!